Can Trivedi Make Indian Railways a Modern Transport System? AS railway minister Dinesh Trivedi is getting ready to present his first ever Railway Budget this week, many a bureaucrat who was hurt by his earlier comments against Indian bureaucracy is waiting to see how “effective” his rail budget is going to be! Will his Budget incorporate out-of-the-box ideas to take the mammoth Indian railways to the next level, or will it be an ordinary document prepared by rail babus which probably “a young man fresh out of college” can fluently read out! Is IR moving towards a debt trap? Or, will Trivedi be able to do any magic to save this massive government department as he presents the Rail Budget on March 14? As the minister of state for health, Trivedi aired probably the harshest comment against Indian bureaucrats. He called bureaucrats “ineffective” and said college kids would run the health ministry better than the bureaucrats. “Young people fresh out of college would be able to run the health ministry better that these bureaucrats,” he said. Trivedi said bureaucrats are not innovative and they don’t understand technology. The minister’s anger was directed towards then health secretary K Sujatha Rao over sanctioning of a Rs 140-crore health portal, but Trivedi generalized his comment and hurled it against entire bureaucracy. Then health secretary Sujatha Rao countered the charges saying that Indian bureaucracy “was among the most scrutinized in the world”. Only recently, the railway minister created another row when he talked about the possibility of a mid-term poll which his leader Mamata Banerjee later distanced herself from. Trivedi too clarified saying that his comment was “personal” which he aired “as a student of political science, and not as a minister”. 62-year old Trivedi is a B Com from St. Xavier College of Calcutta and MBA from University of Texas, USA. He was first elected to Rajya Sabha in 1990. 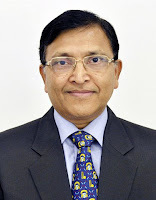 Keshav Chandra, an officer of the 1975 batch of Indian Railway Service of Mechanical Engineers (IRSME), took over on Saturday as new Member (Mechanical), Railway Board. He will be an ex-officio secretary to Government of India. Prior to this appointment, Chandra had served as General Manager, Northeast Frontier Railway (NFR), Guwahati. He will continue to hold the post of GM, NFR Railway in addition to his present post until further orders. He is credited with first set of successful trials for DMRC rakes. Based out of Berlin, Chandra also worked as Railway Adviser for Europe. He wrote a paper titled ‘Donate Once In A Life Time’ and authored a book “One track Mind’. When Japan finally privatized the railway system, why not India? Dinesh Trivedi has proved that he has the credentials of being a future Prime Minister of this country. He has placed country before self - done his duty to the nation without compromising his conscience. Perhaps he would do well to roll back the 2 Paise per Kilometer fare of the lowest rung of the fare ladder - that would benefit the really poor people. If the Govt of India could help a bit by providing a little assistance to cover the loss to the Railways, I think this would definitely be a welcome budget in keeping with the need of the hour economically as well as politically and would definitely enhance the image of our country in the international comity of nations. Congratulations Dinesh Trivedi - keep it up!